Here they are, the chords that are ready to rock! Dial in some distortion to your electric guitar and let them rip. 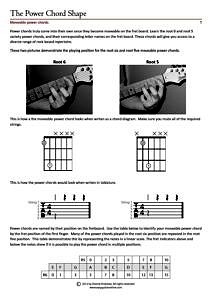 But hold on a minute, these chords aren’t just for rock, they are used for blues and just about any style of music.